I'm taking a wee break to see the human doctor about my sore paw. 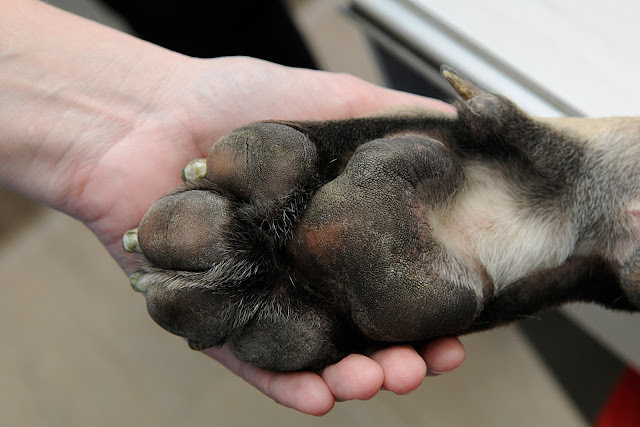 Which reminded me of this mega paw from a plus-size patient of the canine variety. Whenever I meet a super-senior cat (in my working context, given cats enjoy pretty good lives in inner-city Sydney, I consider a super-senior cat to be anywhere from 17 human years old) I think of a cat called Cleo. Cleo is the subject of an incredible biography by author Helen Brown. Cleo came into Helen’s life just before she tragically lost her nine-year-old son, Sam. Today is Sam’s birthday. I’m re-sharing this interview with Helen Brown because Helen wrote a remarkable, powerful book documenting the story of Cleo and Sam. 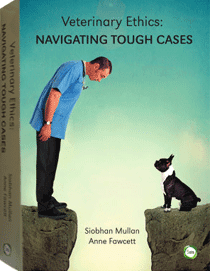 It is beautifully written and unexpectedly uplifting, so worth a read if you’re looking something these holidays. From today I am taking a short break from the blog. It’s only a matter of weeks but I’ve got a sore paw which needs attending to and so a bit of time away from the keyboard is called for. If you’re keen for SAT updates in the meantime, please follow us on facebook. Thank you to all our very loyal and special readers and yes, those who do send story leads in, keep them coming! I’m really grateful. In the meantime, wishing you a safe festive season. It’s a time when loads of people send cards, but veterinarian and blogger Andy Roark reckons one of the best gifts you can give this season costs nothing (I don't want to spoil it so read here). Remember to keep your non-human companions cool this summer, don’t leave anyone in a hot car, and make sure you’re tick prevention is up to date! Looking forward to returning shortly.